Now that I bought my new 27" iMac, I was plagued with trying to decide which route to take on my workflow options. I could spend $699 for the new Adobe Photoshop CS5 which has lots of nice cool features and a lot of things I will never use. I could also spend $299 on Adobe Lightroom 3.0 when it comes out. The beta looked pretty good. 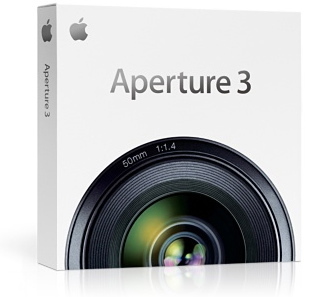 I finally decided to go with Apple's Aperture 3, which I got off of Ebay for $140. I have spoken with other mac user's and with this new version of Aperture, it is definitely the most bang for your buck. The key feature that I like about Aperture 3 is it's use for brushing in or brushing out your enhancements. I also like the organizational features, being able to export and import projects and merge the changes. Overall I am very pleased with my purchase. I have bought a few books to assist in the learning process, but what I have learned to do on my own is just awesome. The only thing I wish it could do was add text as a watermark for the picture. It does allow you to add a pre-made watermark but for those of us who don't own photoshop are S.O.L.